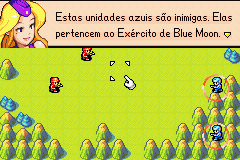 Advance Wars played a huge role in a lot of localisation processes. First off, the game itself is the first localisation of the Wars series. Advance Wars also helped localise Fire Emblem, where FE7 was its first international release. The game was such a hit that it is often stated in the Best Of lists for GBA or even all time. And rightfully so. This game is a turn based strategy tactics game. If you’ve played Fire Emblem, you know the deal. But this time, your units are more expendable and they don’t have levels or carry forward to the next map. The character focus instead is on the COs, who control all the units. The story of Advance Wars is surprisingly great, with a lot of backstory tossed in and branching paths. The graphics of Advance Wars is amazing, especially when the battle screens show up, with animated sprites and all that. The soundtrack isn’t annoying or repetitive and is actually nice to hear. But what really makes this game great is its challenging gameplay. Advance Wars is unlike any tactics game I’ve played. Mainly due to the fact that it depends heavily on tactics. Isometric tactics games like Tactics Ogre and Final Fantasy have little tactics at play but make up for its fun gameplay. Fire Emblem does require strategy to play, but not like Advance Wars. There’s so much you need to be aware of before playing this. 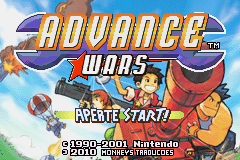 Advance Wars is a great title on the GBA and a must play if you’re a tactics fan. 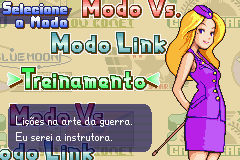 This patch is a full translation of Advance Wars from the Game Boy Advance into Portuguese (Brazilian).